Winner (1st ed.) -- 2005 "Texty" Textbook Excellence Award ! Updated 5th edition now available ! 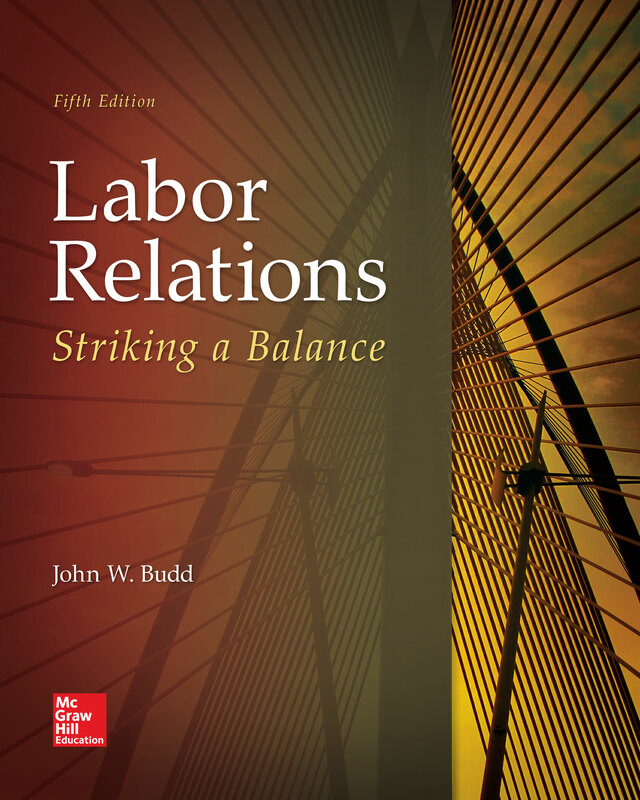 This textbook presents labor relations as a system for striking a balance between the employment relationship goals of efficiency, equity, and voice, and between the rights of labor and management. It is important to examine these goals to discover what motivates contemporary U.S. labor relations processes, and to evaluate whether these processes remain effective in the 21st century. What are the differing assumptions (such as whether labor markets are competitive) that underlie alternative mechanisms for achieving efficiency, equity, and voice? Why is a balance important? These questions provide the framework for analyzing the existing processes-especially organizing, bargaining, dispute resolution, and contract administration-as well as the major issues facing these processes-particularly, the need for workplace flexibility, employee empowerment, and labor-management partnerships in the context of globalization and financialization. Another recurring theme is that the current processes are one option for balancing workplace objectives and rights, but that this system is under fire from many directions. The book therefore concludes with chapters to promote reflection on the strengths and weaknesses of the current system and the possibilities for reform. This material includes a comparative examination of labor relations systems from other countries and a consideration of varied U.S. reform proposals that include changes in union and corporate behavior as well as public policies. 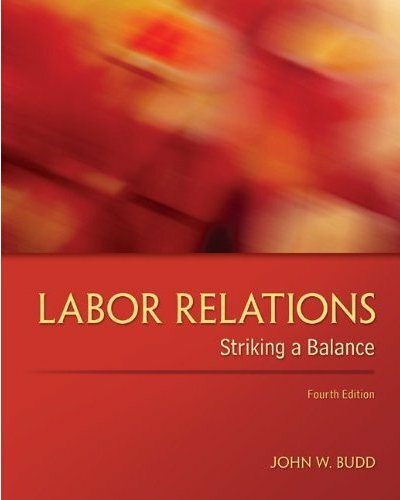 The first four editions of Labor Relations: Striking a Balance were well received by instructors and students alike. In fact, the first edition was recognized with a Texty excellence award from the Textbook and Academic Authors Association for the best textbook in accounting, business, economics, and management in 2005. The fifth edition continues to refine and update rather than overhaul the successful approach of the earlier editions. The particular emphases of the revisions for the fifth edition are engagement with new events, pressures, and ideas as well as removal of unnecessary details and additional clarity of specific topics identified by the reviewers. In various places in this new edition, issues raised by the Fight for $15 movement, alt-labor initiatives, protests over proposals to change public sector bargaining laws, debates over right-to-work laws, and new NLRB policies and rulings are incorporated. Every chapter now includes an explicit nonunion application element as well as two online exploration exercises in the flow of the text. And Chapter 11 has been significantly re-written to more efficiently focus on the labor relations relevance of globalization while adding a brand new section on financialization which many scholars now recognize as another very important pressure on labor relations. Updated statistics and references appear throughout the text. Extensive supporting pedagogical materials, including case studies, active learning exercises, visual aids, and labor law and grievance discussion cases (with extensive teaching notes). Each chapter also includes two online exploration exercises integrated into the flow of the text to help learners engage with the material. An accompanying bargaining simulation helps students experience the collective bargaining process by renegotiating a hotel's union contract. The simulation is structured around websites for the hotel and the union at www.thezinnia.com. A rich intellectual framework for understanding both the current labor relations system and possible alternatives. This framework focuses on three conceptual elements: the objectives of the employment relationship (efficiency, equity, and voice), the objectives of labor relations (striking a balance), and differing views of labor markets and conflict. Comprehensive, even-handed coverage of the New Deal industrial relations system-including history, law, and all of the major labor relations processes-as well as current issues (workplace flexibility, employee empowerment, labor-management partnerships, globalization, and financialization) and multiple alternative directions for union strategies, corporate behavior, and labor law. Engaging historical and contemporary examples are used to illustrate many issues. These examples are drawn from a wide variety of industries, occupations, and demographic groups. Discussion of whether workers' rights are human rights. Moreover, the clash between property rights and labor rights is highlighted as a central conflict in labor relations. This theme is used to increase the understanding of the legal doctrines that underlie the labor relations processes by seeking to balance these competing rights. A serious treatment of ethics integrated throughout the text. Unlike any other labor relations textbook, major ethical theories and principles are discussed (chapter 5). Many chapters ask students to apply these principles to important labor relations issues. Contemporary management and union strategic issues integrated throughout the text, including integrative bargaining, workplace flexibility, work teams, reengineering, leadership, change management, the organizing model of union representation, and social movement unionism. Separate chapters on globalization/financialization and comparative labor relations systems. 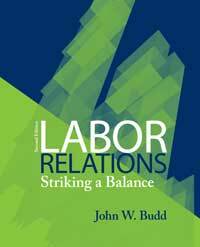 The comparative chapter discusses labor relations in representative industrialized countries (Canada, Great Britain, Ireland, France, Germany, Sweden, Australia, and Japan) as well as in Mexico, Eastern Europe, and Asian developing countries and the debate over convergence of policies and practices. 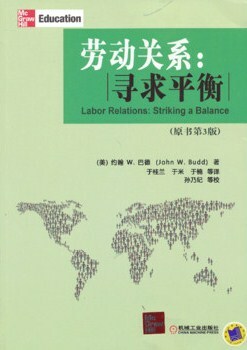 The globalization and financialiation chapter is unique among labor relations textbooks and explores the pros and cons of globalization, debates over free or fair trade, the use of corporate codes of conduct and the International Labor Organization to promote workers' rights, transnational union collaboration, and issues for international managers, multiple dimensions of financialization, and ethical concerns. Issues specific to public sector labor relations integrated throughout the text rather than relegated to a special topics chapter. Nonunion applications appear in every chapter, too. Explicit discussions of four schools of thought on the employment relationship- mainstream economics, human resource management, pluralist industrial relations, and critical industrial relations-and the importance of these different perspectives in understanding conflicting views of labor unions and labor policies. 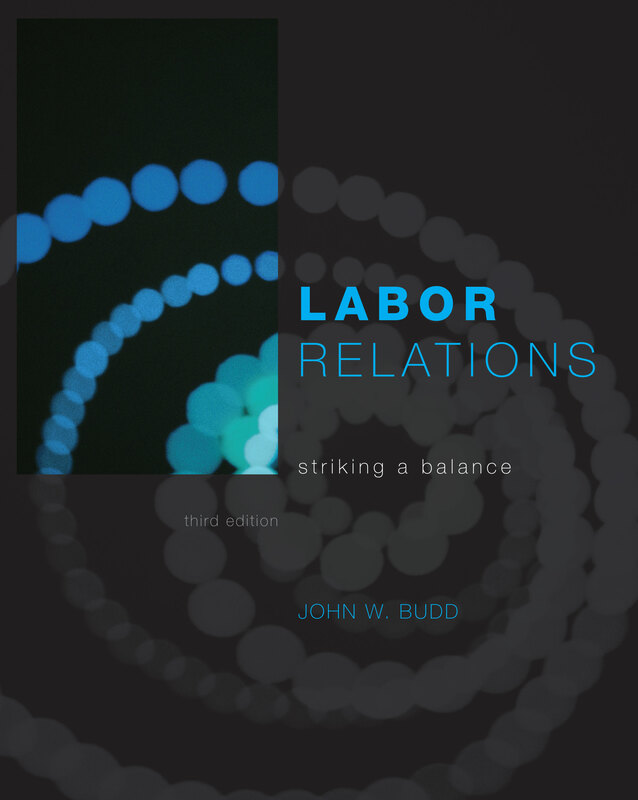 Inclusion of diverse scholarship on labor relations incorporated throughout the text to promote a broad understanding of the subject, and to create an engaging, interesting book for the reader that draws on many disciplines and perspectives. Appendices include the full text of the National Labor Relations Act, the United Nations' Universal Declaration of Human Rights and a sample NLRB decision. A Chinese translation published by China Machine Press is also available. The translation team included Professor Naiji Sun, Professor Guilan Yu, Professor Nan Yu, and Mi Yu, all of Jilin University.